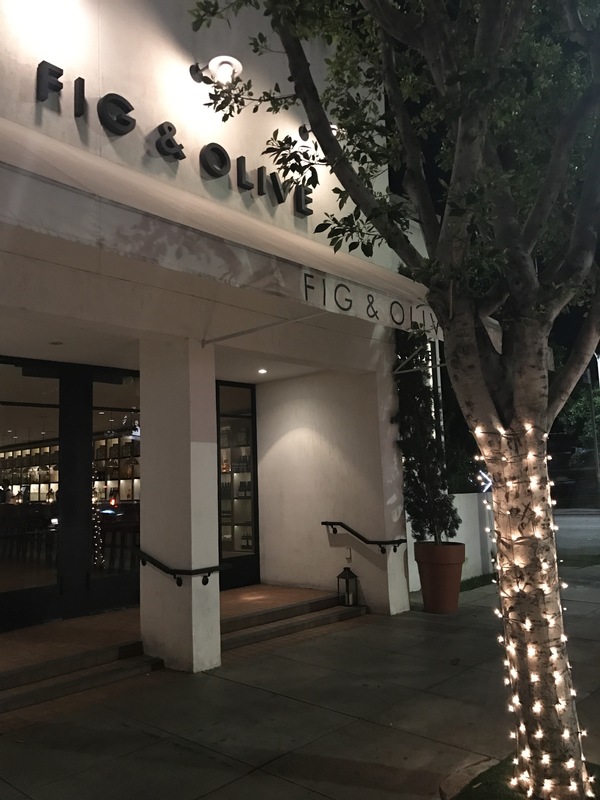 On our recent trip to LA, me and D had the pleasure of dining at Fig & Olive in West Hollywood. 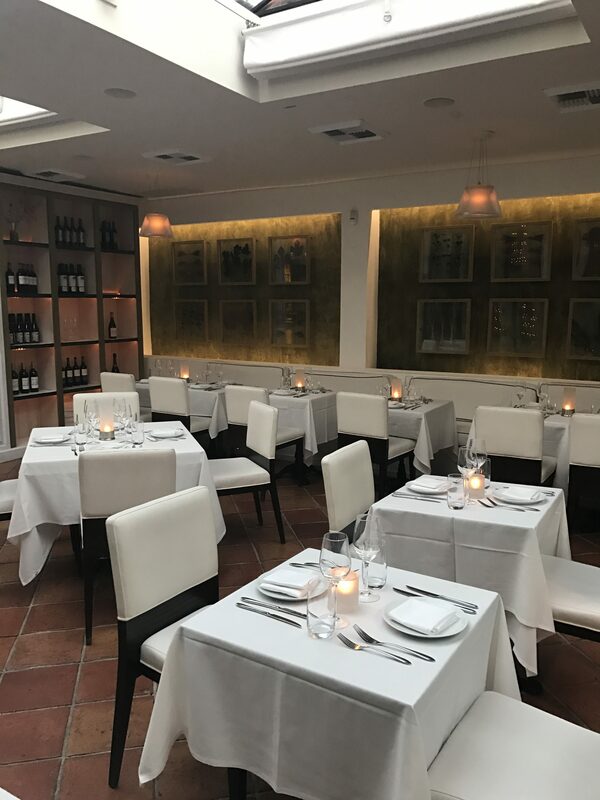 I found this beautiful, romantic restaurant online and knew we had to go! 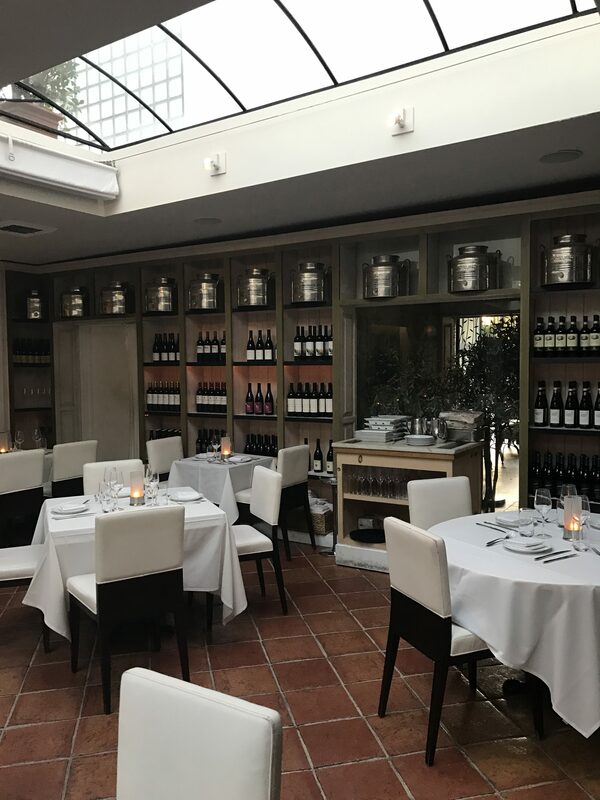 Upon arrival they have valet parking for $10, right in front of the restaurant. 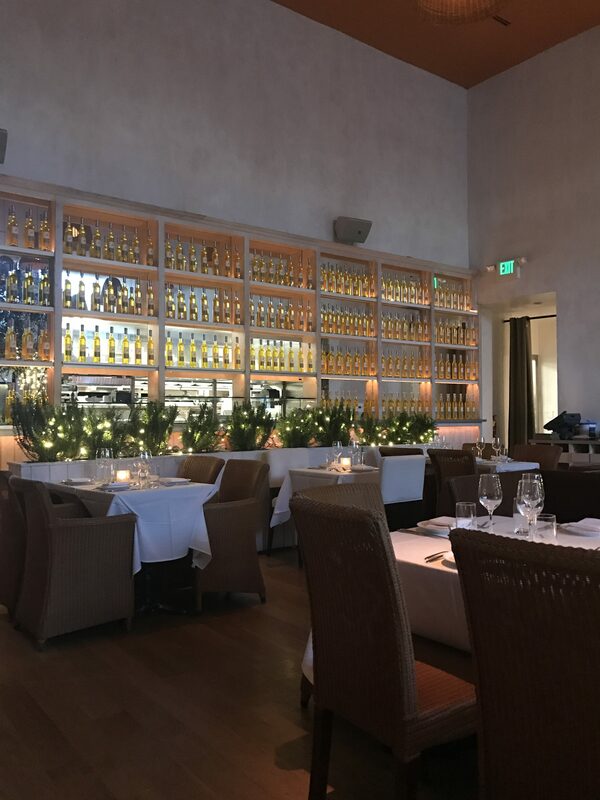 The inside of the restaurant was just STUNNING!! 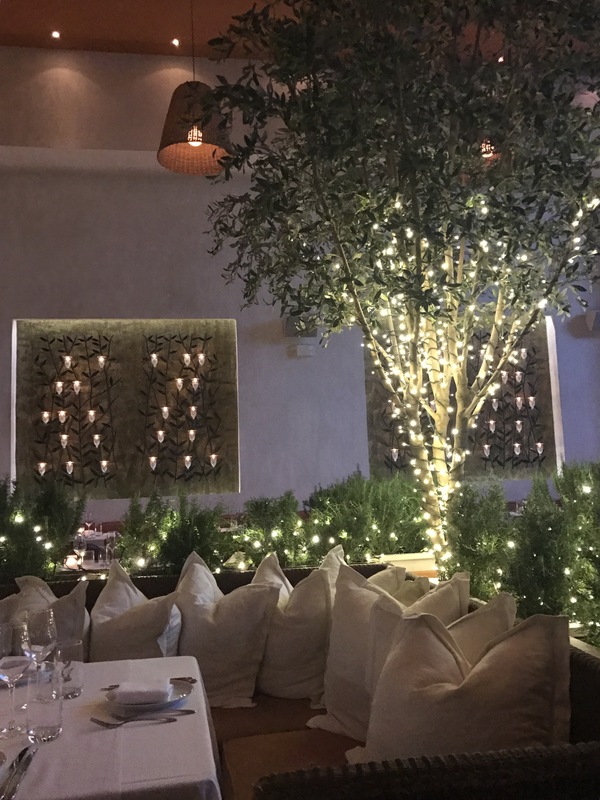 The romantic lighting and candles, along with beautiful greenery everywhere really set the mood. 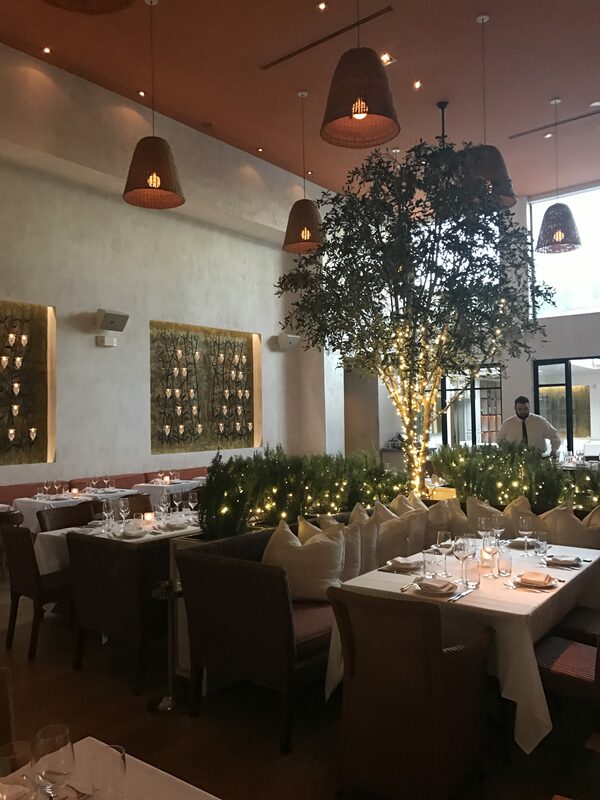 They even had a covered, outdoor dining area which was just as beautiful and calm. 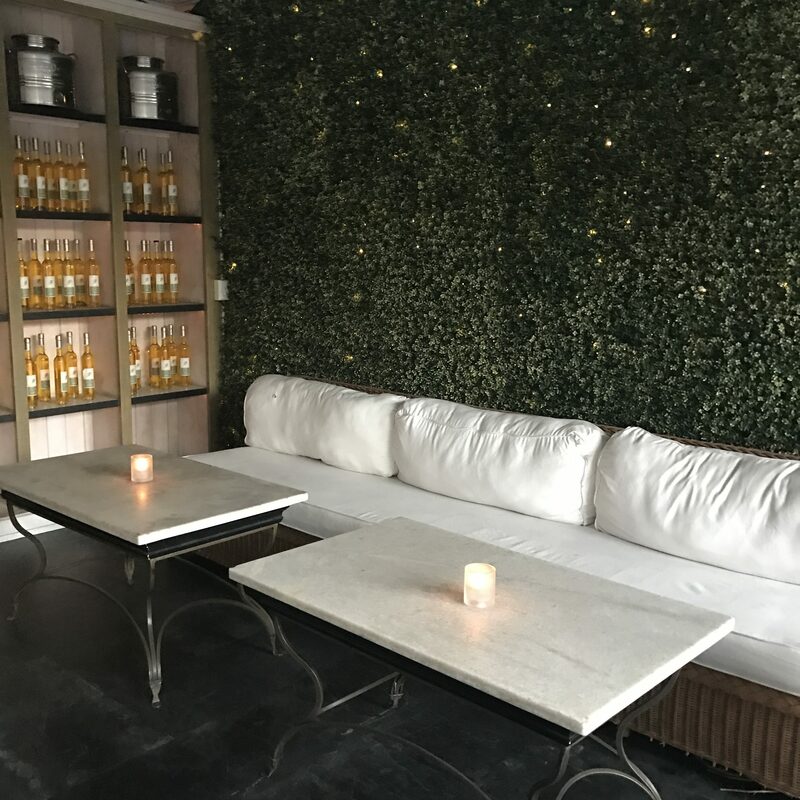 Not only that, while you’re waiting to be seated, you can either wait at the bar, or lounge outside in another outdoor space with couches and a view of the street and cute little shops. 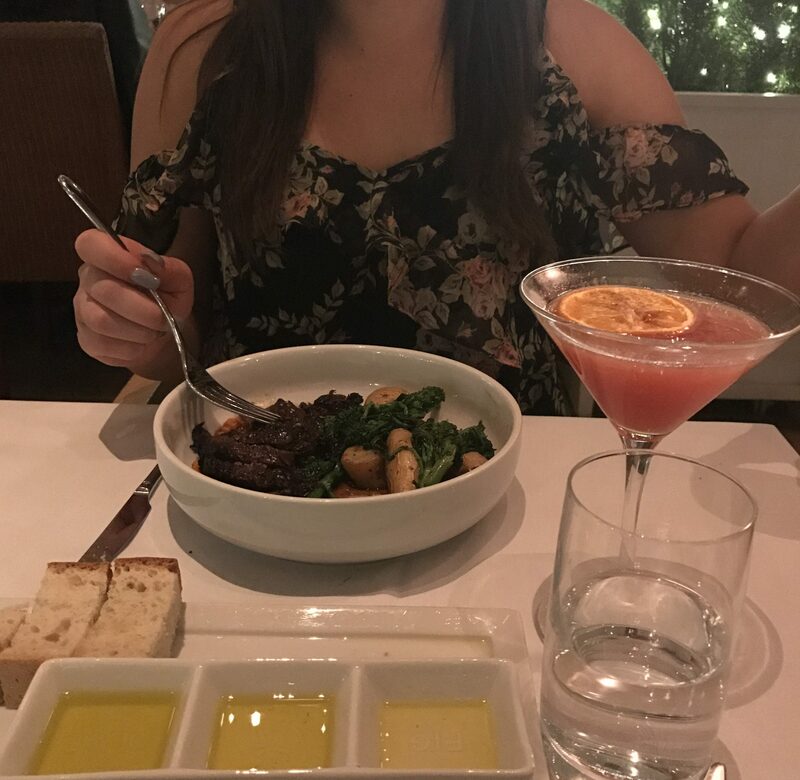 After being led to our quiet, intimate table, we started exploring the menu and I decided on the ‘Roesellini’ specialty cocktail. 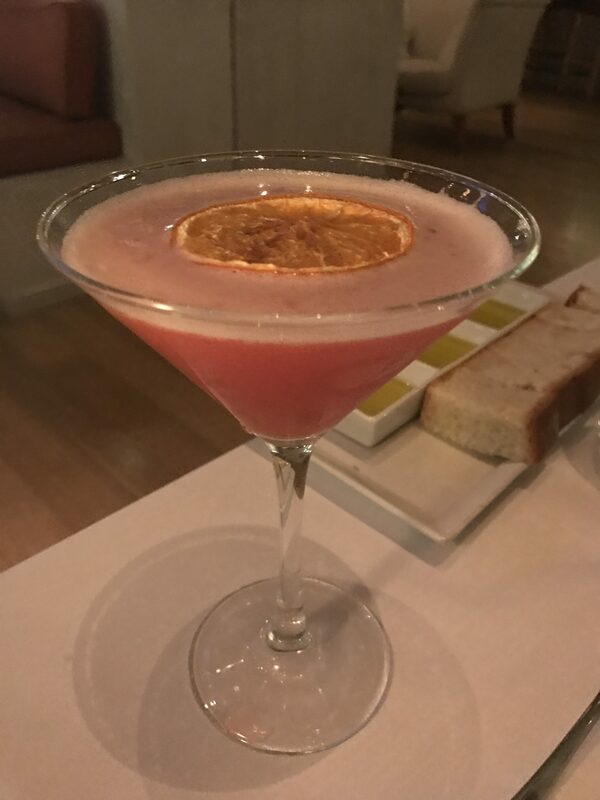 This cocktail had passion fruit vodka, blood orange juice and lime juice, served straight up. I’m a vodka fan and love to pair it with anything fruity. 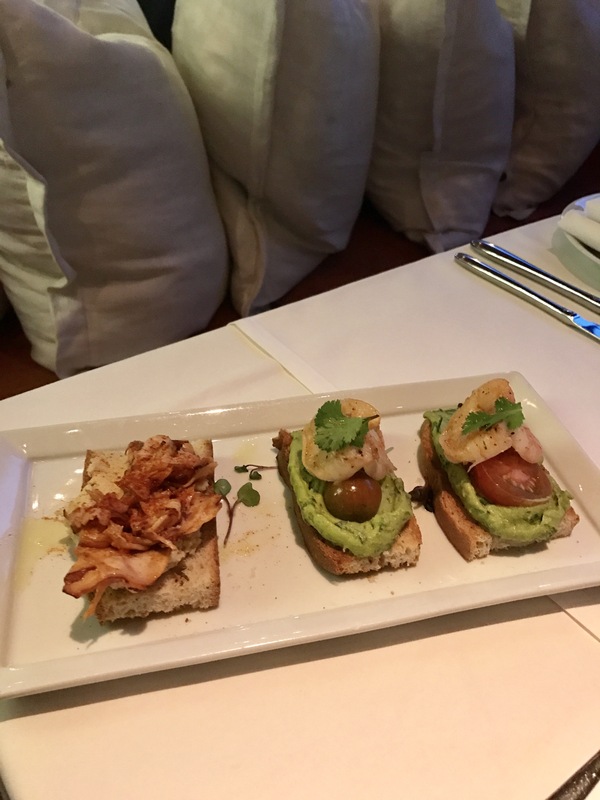 We started with the crostini and chose the shrimp. This comes with avocado, cilantro and tomato. For those of you who know me, I haven’t eaten a tomato since I was about 6 years old, so I just took that off, but it tasted delicious without! I loved that the bread had a crunch to it. It all paired together really well. 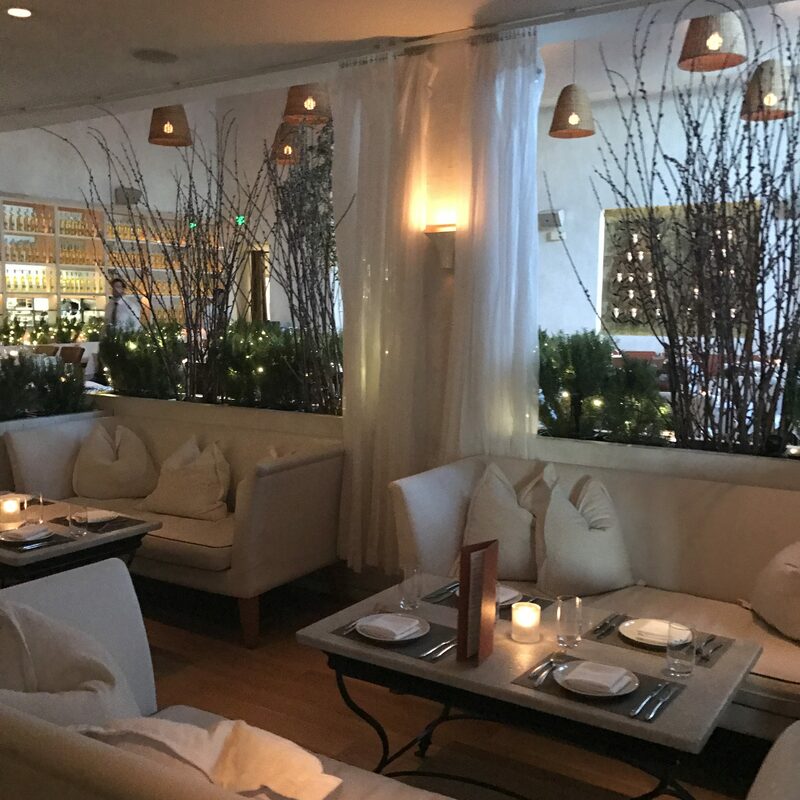 I am a huge fan of seafood, so we also went with the sea scallops and they did not disappoint!! 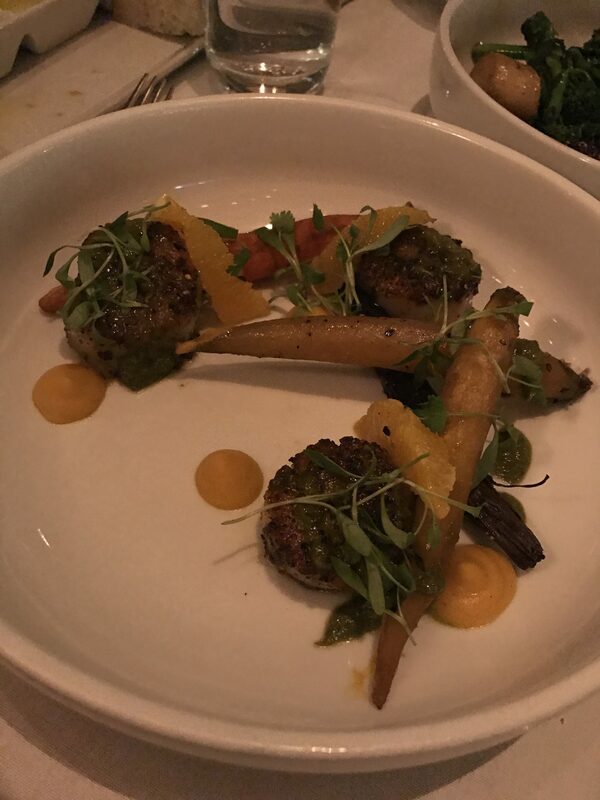 The dish came with honey roasted carrot, orange segment, citrus and charmoula. The scallops were cooked to perfection. 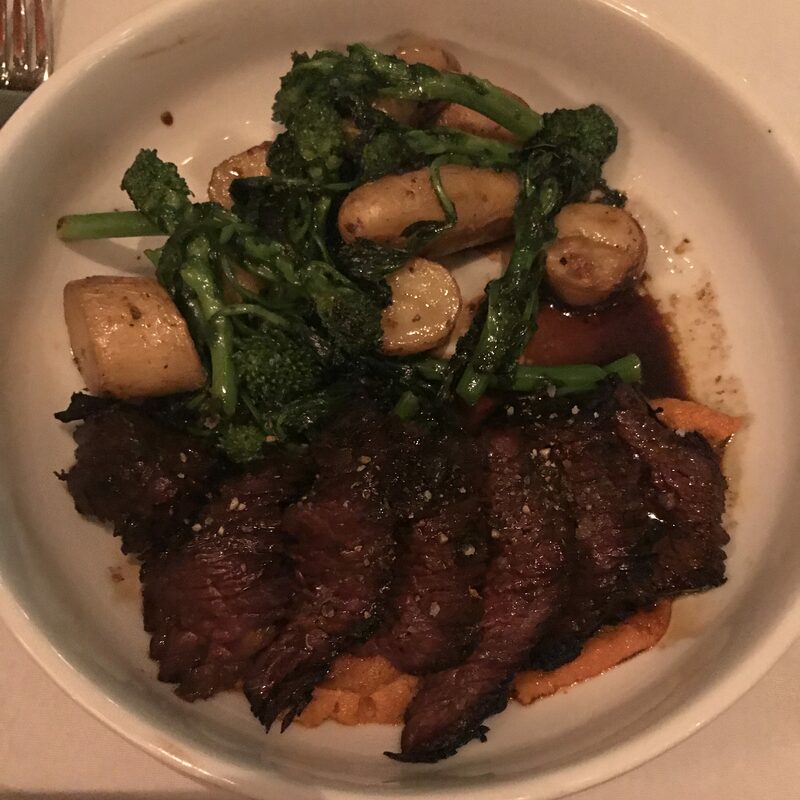 For our entrees, I went with the grilled hickory hanger steak, which had roasted potato, rapini, garlic confit, romesco, almond and hazelnut. I loved the seasoning and it definitely filled me up! 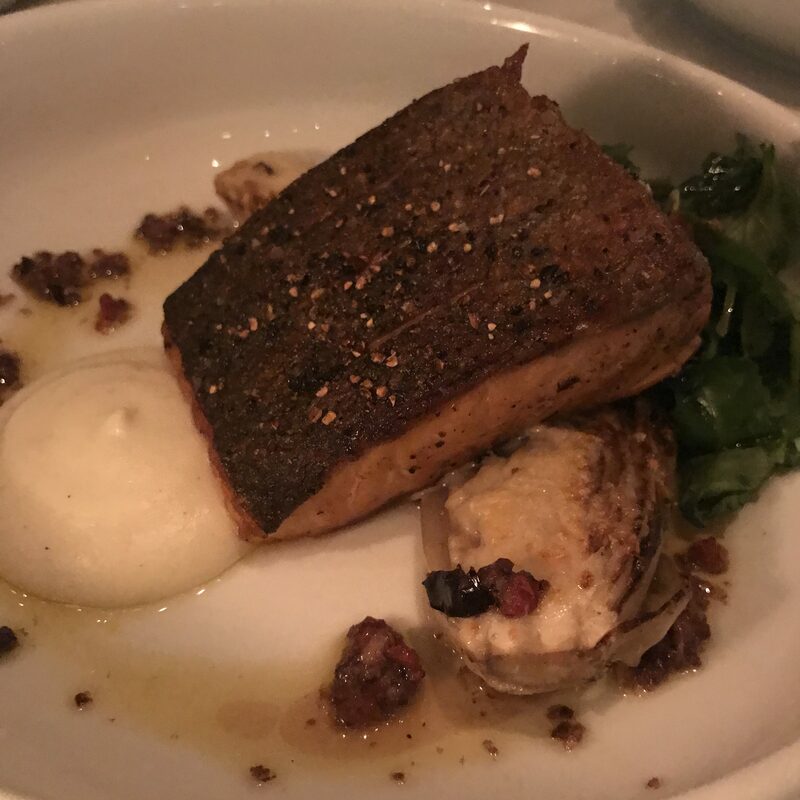 DeAndre went with the riviera salmon, which came with asparagus, braised fennel, pea purée and basil olive oil. And what is a dinner without the dessert?! 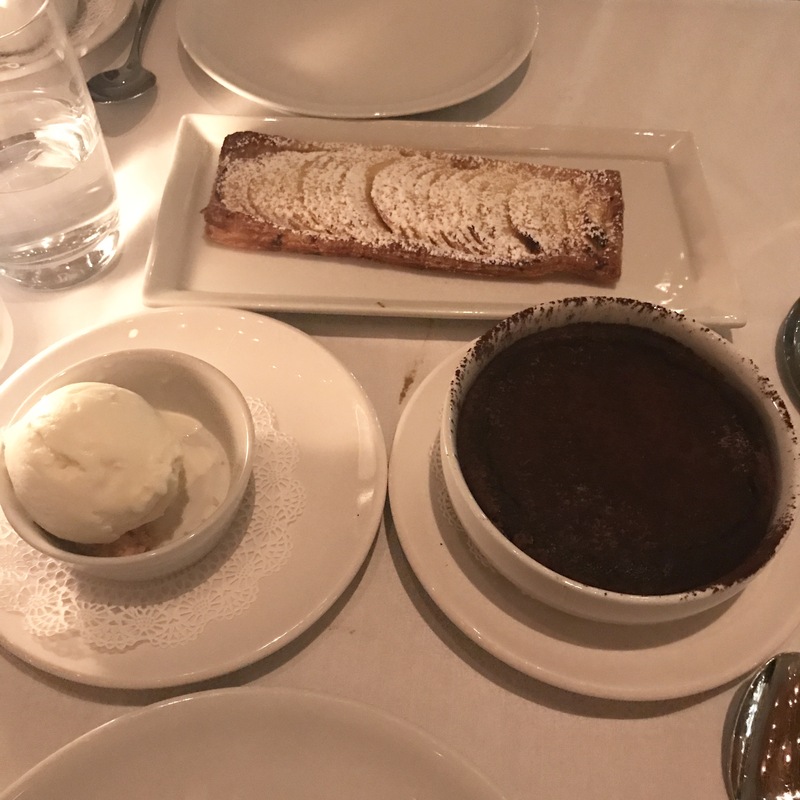 We both love anything apple so we went with the carmalized apple tart which was a crisp puff pastry with caramelized apples and vanilla ice cream. SOOO good! It was crispy and crunchy and so good. Since I’m a sucker for chocolate, I also ordered the chocolate fondant. It was candied orange and came out so rich and chocolaty (great for the chocolate lovers). It was perfect with the vanilla ice cream on the side. 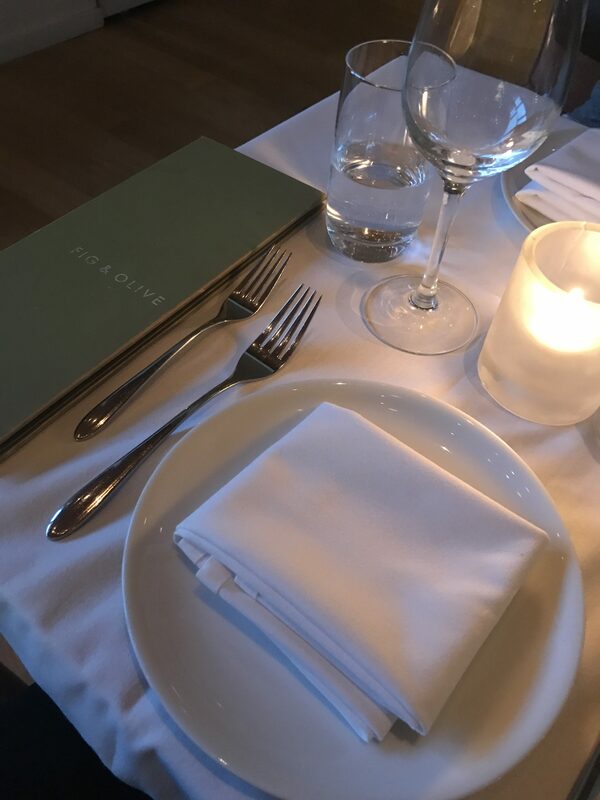 The meal was delicious and we had a great time! We took one last glance around the beautiful venue and then jet out of there to make our 9:00 pm showing at the theater! 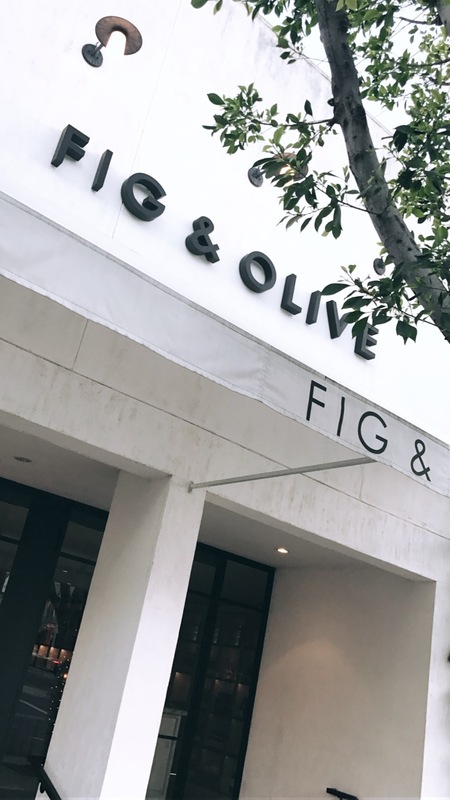 A special thank you to Fig & Olive for making our experience so wonderful!